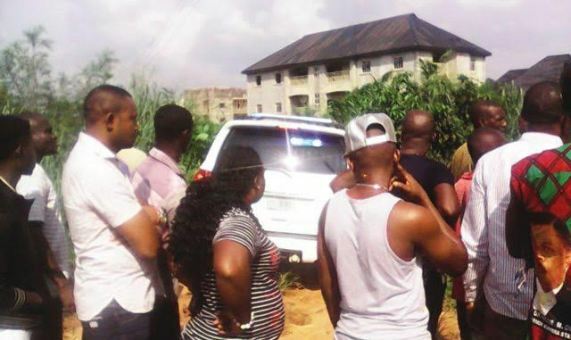 A police officer and his married lover were found dead in the man’s apartment on Saturday, August 6th, at Ezinifite Okpuno, Awka south local government area of Anambra state. The couple was suspected to have been killed by fume from a generating set in the apartment. The woman, identified as Ifeoma Okeke, a mother of five resident in Awka is said to be an official of the Nigerian Security and Civil Defence Corps, while the man is a married father of three whose family live in Lagos. The state Police Public Relations Office, ASP Nkeiru Nwode, confirmed the incident but claimed that the man in question was not a member of the Nigeria Police Force. According to Daily Trust, the woman had lied to her husband that she was attending a church night vigil, but ended up in her lover's house. A neighbor who spoke to Daily Trust correspondent on condition of anonymity said that the sound of a small generating set was heard throughout the night around the deceased's apartment. "Each time he was around, everybody would know, because he would run his generator all through the night. Everybody called him officer, but I think he was a police inspector," the neighbor said. Another resident said a labourer who was to work for the man discovered their dead bodies in the morning "He alerted the neighbours who followed him to confirm the incident," the resident added. The police and men of the NSCDC evacuated the copses to a hospital in the state. Photos: Two current Corp members who met at NYSC camp in Ebonyi State are getting married! C0de on board, it rocks like Hell, i have been using it for days now. I just want to share it with you Guys. with additional 950mb,Only ur MB will expire after a Month. up and do it as quick as you can before they block it.